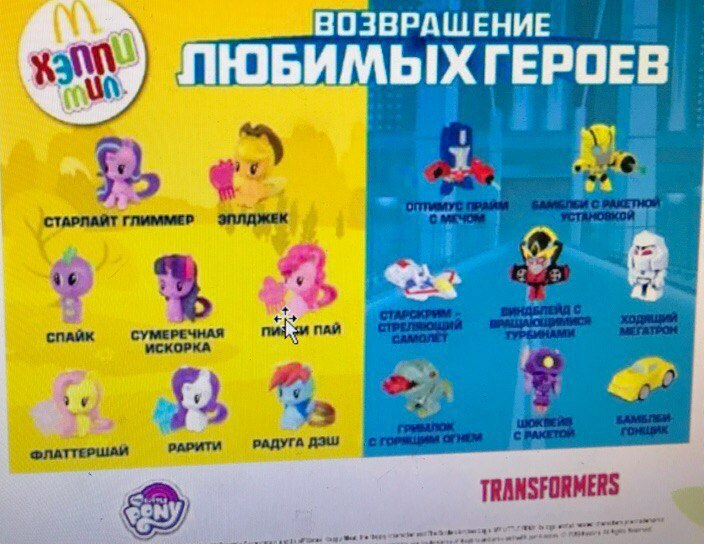 Thanks to a post, courtesy of Pony toy database MLP Merch (no, it’s no a mistake), we have images of the upcoming Happy Meal Cyberverse Transformers 2018. This cute little figures bring you super-deformed version of Optimus Prime, Bumblebee, Windblade, Megatron, Shockwave and Megatron in robot mode. Grimlock comes in dino mode, while we also have Starscream and Bumblebee in alt mode. These figures seem to be based on the new Transformers: Cyberverse cartoon which will premiere this 2018. 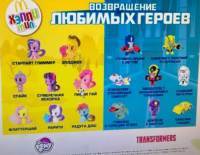 The image of these figures was shared together with the upcoming My Little Pony Happy Meals for 2018. 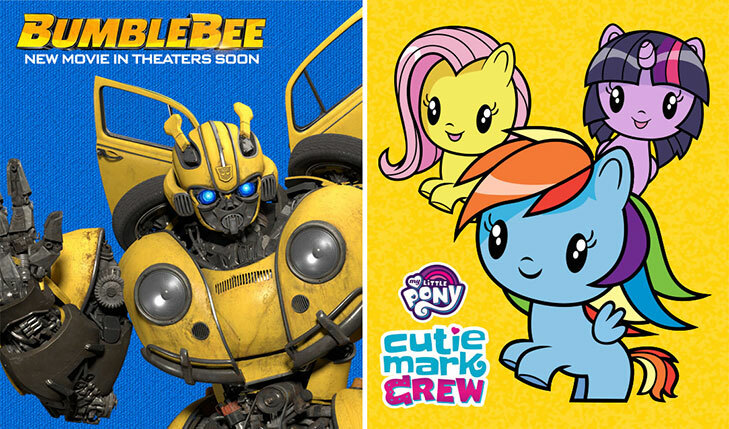 According to MLP Merch website, These are due out next month in the following countries: South Korea, Italy and Russia. No information for any other country yet. You can click on the bar to see the mirrored image on this news post and then join to the ongoing discussion at the 2005 Boards! Windblade was the second one available here — Optimus, Windblade, Megatron, and then Bumblebee, who is out now. I often go to McBurger to study anyway, so I picked them all up. They're not wow! or anything, but I'd still like to get the others because — collector and sets.